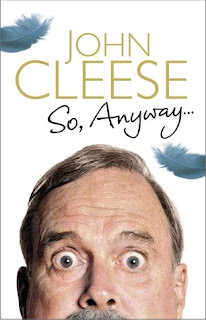 I recently read John Cleese's autobiography "So anyway". As a massive Monty Python fan I found this to be an amazing read. It was fascinating to hear about the history of the comedy team, where they originated, and also their involvement with other acclaimed comedians such as Rowan Atkinson, Stephen Fry, and Tim Brooke-Taylor to mention a few. It became evident what a monumental influence these comedic pioneers had on society. The book was quite inspiring, it made me realise how powerful comedy can be in both a literal and social sense, but also professionally. If you haven't seen or heard of Monty Python then I truly envy you, because you get to watch it for the first time and fall in love. Read the book also, it's hilarious. It might be best not to read it in public however... I found myself erupting with explosive laughter on the train and copping strange looks. Scene description: A person calls an emergency number with an unusual dilemma and is treated accordingly. C: Yeah not bad thanks...is this the err '000' emergency hotline? E: Yes! what can I do for you today? E: Would you like an ambulance, fire brigade or the police sir? C: Who would you recommend? E: Well the fire brigade are my personal favourite, commander Watson always seems to know how to liven up the atmosphere. 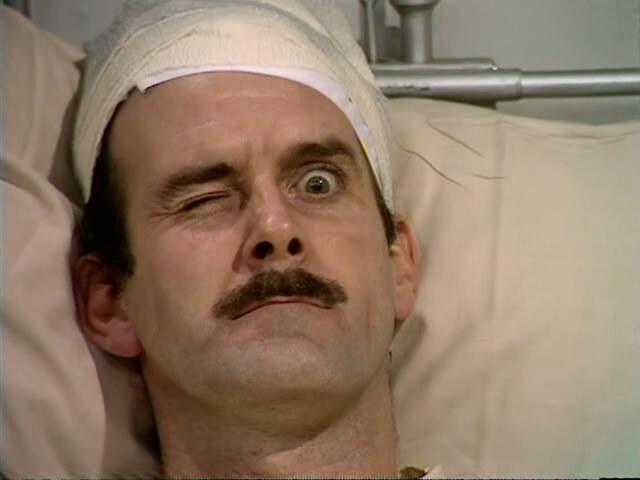 C: WHAT GOOD IS COMMANDER WATSON WHEN HALF MY ARTERIES ARE REMOVED?! E: Okay sir, okay, please remain calm. Are you alone? E: No no. Your assailant and "I"...Watch your grammar! Now can you please describe the assailant? C: Ahh, that's better... Short brown hair, right handed, very powerful grip. E: Yes, yes perfect! And what is he wearing sir? Eye colour? Are his fingernails well maintained? C: hmm, let me check. Suspenders, flannelette shirt, rubber gloves. E: Excuse me, can you please be quiet, I'm trying to take this down. E: Okay okay, that should be plenty. Now can you please tell me your name and address? C: Do you want MY address? or where I am being murdered? E: Yours will be fine, thankyou. And lose the attitude or I'll hang up. E: I'm sorry. This isn't working, can you please put me on to somebody else, or try turning loudspeaker on? C: (to the assailant) "Here, you take it!" E: What model is he using? Husqvarna? C: No, no... don't be stupid... (looking to side of chainsaw) it's a Stihl. E: What's the warranty like on those things? A: Not bad actually, maintenance is a hassle though. C & E (together): Mmm true. C: Yeah, he's out of petrol. C: So are you going to send over some help? C: (covers microphone) Alright you lot, shows over. Quick! ...34 Flannigan street, and make it snappy, I think this guy MIGHT be a psycho! I'm open to suggestions or advice! Please comment!